OMG.... This is amazing... I absolutely love love this one.... Thanks for a tute.. I am going to try this at d earliest possible time.... Great work Shalini...!! WOW!! !Shalini this is sooooo yummy!!! OOF!!! awesome!!!! Will certainly case it!!! CAn I? Wow Shalini!!! 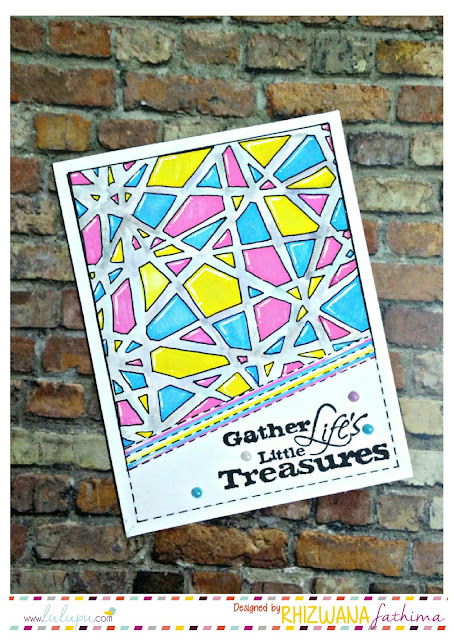 You make simple Pattern papers come to love with such amazing 3-D Projects. thanks for the Tute!! Cant wait to see what our members make now!!! Thanks for this amazing post! Wow i am simply speechless...this is so so gorgeous!!!! i love this card thank you so much for the tutorial....but oh my gosh this involves so much work!!! The much awaited tute is here!! Thanks Shalini for sharing. The card looks fab! loved it ! fabolous ! Fabulous job Shalini...I love the color palette you used! Its simply shtunning!!! Awesome Card! keep it up!